American Pit Bull Terriers, according to Dogtime.com are courageous, tough, fast and obedient. They make great companion dogs. Pit bulls were bred for farm work. Later on, people used them as "nanny dogs" to watch kids because the breed is good with children. Though pit bulls have all the qualities a family could want in a dog, if there ever was a dog that gets a bad rap, it’s the pit bull. Pit bulls are consistently stereotyped as vicious, man-eating dogs. People consider pit bulls so problematic that organizations consistently put them on “dangerous breed” lists. Consequently, according to Pet360, many insurance companies and housing associations won’t let their tenants have them on their property. The reasons that pit bulls are maligned is not cut and dry. There have been some cases of pit bulls being vicious. Pet360 chalks this occurrence up to poor home training and socialization skills, not qualities inherent in the breed. Here are five pit bulls that prove that the breed has gotten a bad rap. According to the Huffington Post, intruders entered Lefty’s adoptive family’s home and tried to shoot one of her owners. Instead of letting her owner get shot, Lefty took one for the team. 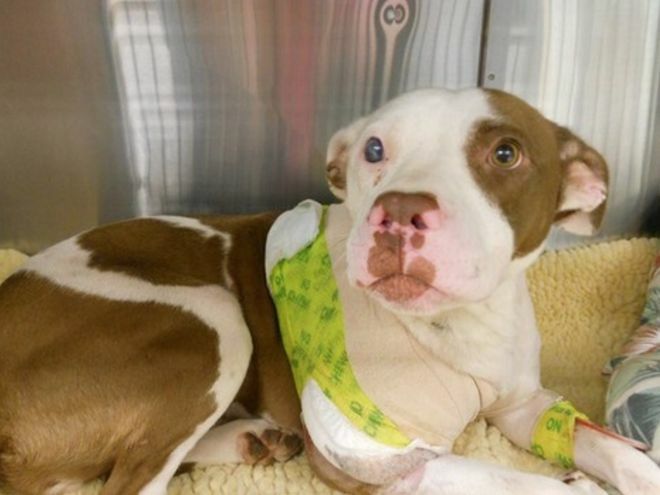 After the botched robbery, Lefty was rushed to a vet hospital where she had torn muscles and a shattered leg bone. Her leg ended up having to be amputated. Strangers came to Lefty’s aid when her family couldn’t afford to pay her hospital bill. 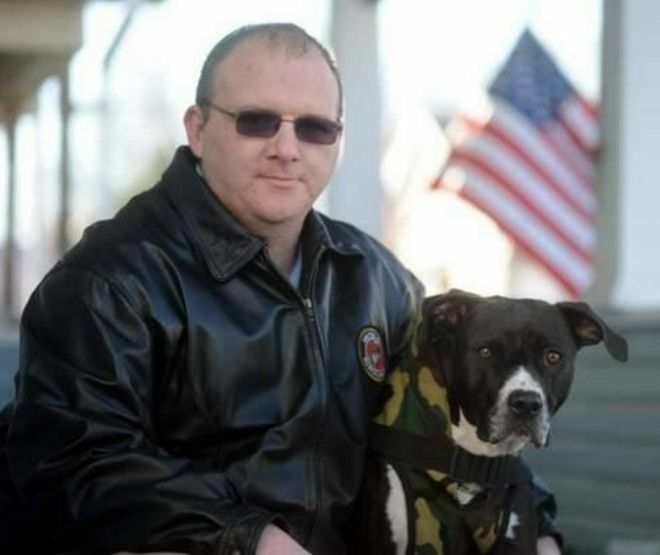 The Blot reported that Major, a pit bull/Labrador Retriever mix, saved his owner’s life when he called emergency services when his owner, a retired Marine, had a seizure and collapsed. Major had to call 911 several times before the emergency services operators realized something was actually wrong. When operators took the call seriously, Major went to the front of the house, so that he could lead rescue workers to his owner. Creature may have a strange name, but she sure is a hero, according to CBS New York. The dog found an elderly lady, who suffers from dementia, in the woods near her home. 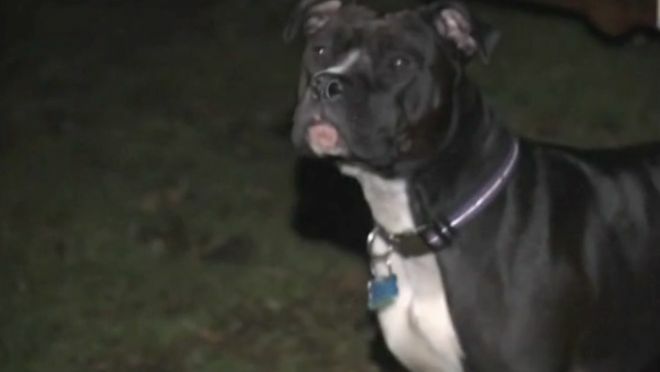 Creature alerted her owner who got help for the woman who was lying in freezing mud with no warm clothes on. Who says cats and dogs don’t get along? Jack chased down a couple of coyotes in Pinellas County, Fla., who had snatched his buddy, Kitty, a cat. When Jack chased the coyotes, a report on YouTube states, they dropped the cat. Kitty is having trouble walking and has brain swelling from the attack, but at least she is alive thanks to Jack. 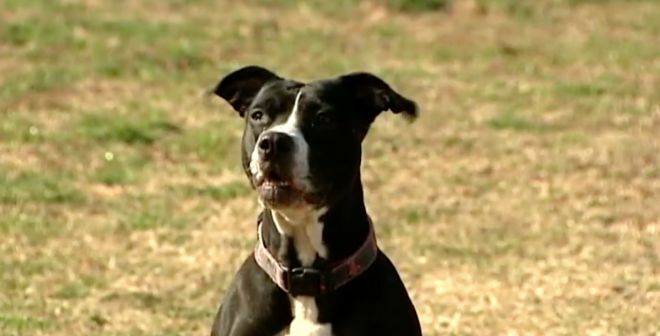 Baby, a pit bull terrier saved her family from a house fire. When the house caught on fire, Baby wouldn’t stop barking until her owners woke up. When they went to see what was making Baby go crazy, they saw what Baby saw. According to KOCO, they had moments to escape. Baby even went back inside for the other dogs. "There was one hiding underneath the bed. Baby actually went in there grabbed it by the neck and drug it outside," a family member told KOCO. 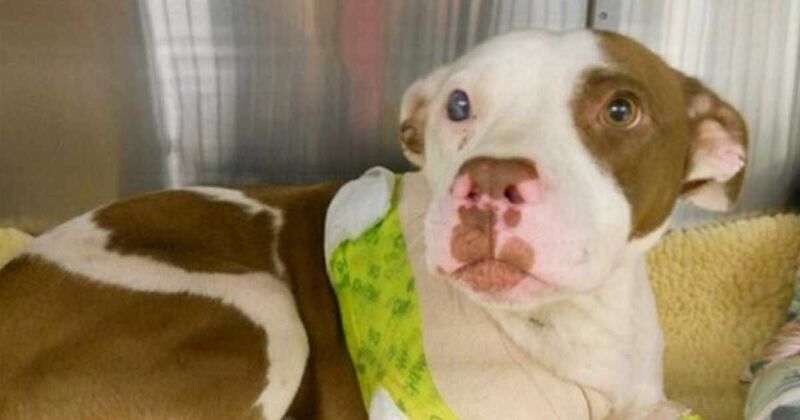 Impressed by the bravery and loyalty shown by these pitties? Be sure to SHARE their stories with your friends! Watch the video as Sweetheart romps through the sand and splashes into the water, the excitement obvious on her happy face. 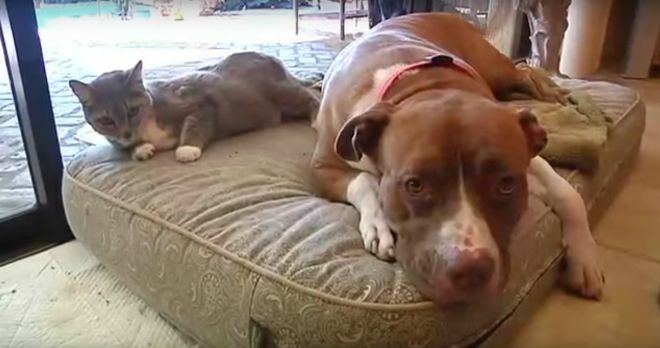 These two species don't always get along, but after watching this you'll learn that love between to beings is always possible. I think the pitbull has found his new best friend.